The shortie gown has a cotton floral & striped print bodice and a sheer pink nylon skirt lined in tricot. 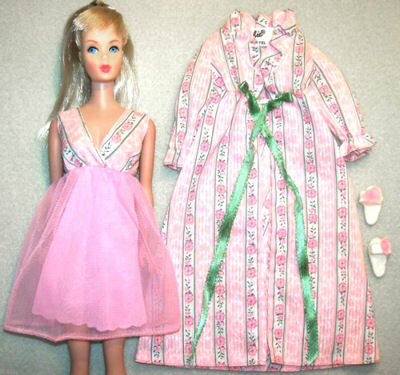 The long cotton robe matches the nightgown bodice and closes with a green satin ribbon. The slippers are white felt scuffs with pink nylon pom-pons.